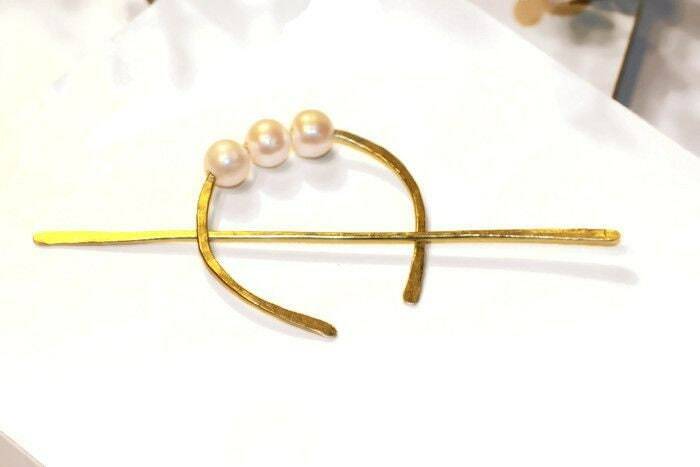 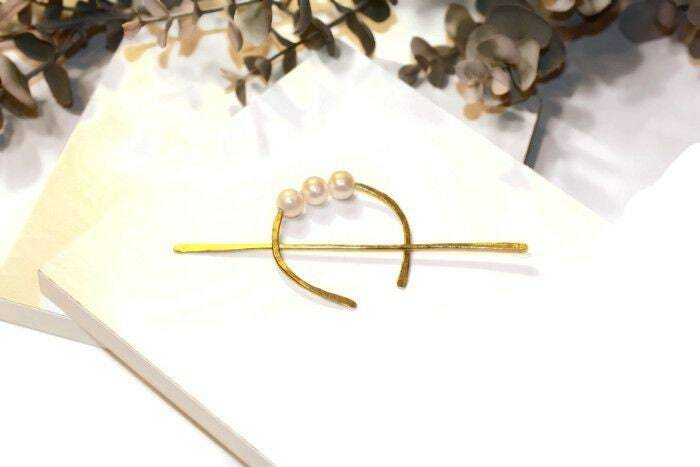 Hammered Brass and Freshwater Pearl Half Moon Hair Slide / Barrette. 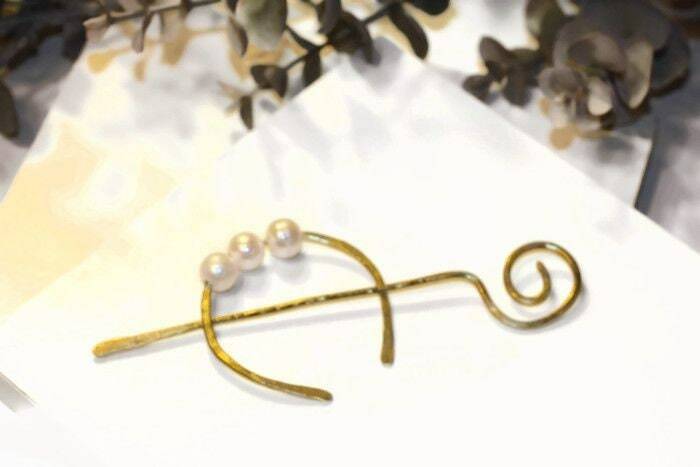 Each slide is hand crafted from heavy gauge brass wire, these hair slide/barrettes are sturdy and will hold hair securely. 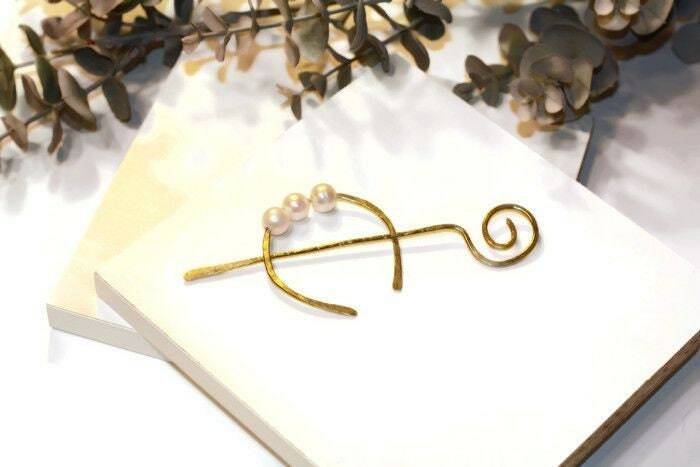 Slides will not lose their shape with use, are lightweight and easy to use. 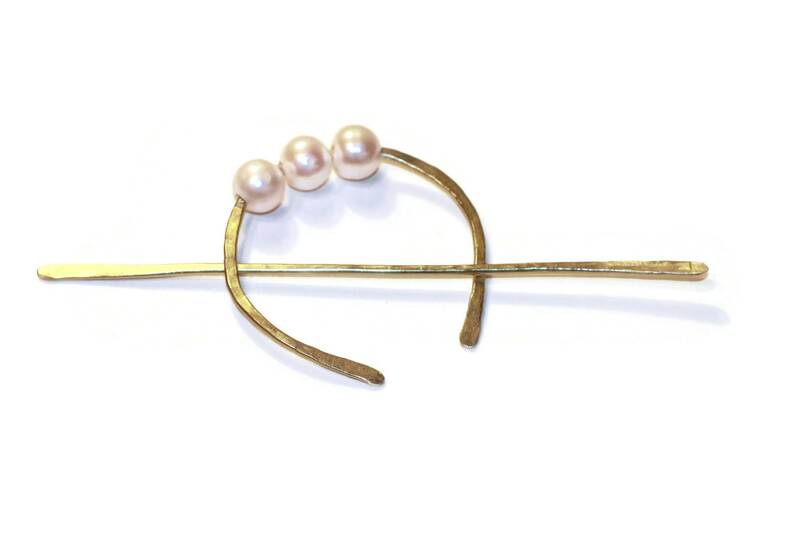 Simply twist your hair into a bun and weave the slide in, use the pin to hold securely.